The Enawene Nawe live in an area of tropical forest in western Brazil. The state government has announced it will build a vast complex of hydroelectric dams upriver of the Enawene Nawe’s land. 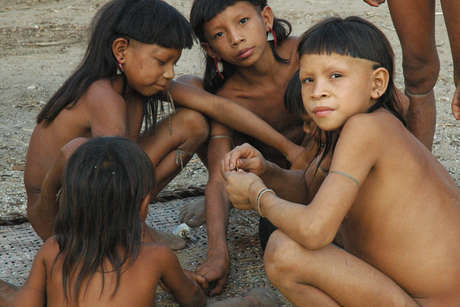 The Indians oppose the dams because they will pollute the water and destroy the fish which are an essential part of their diet. 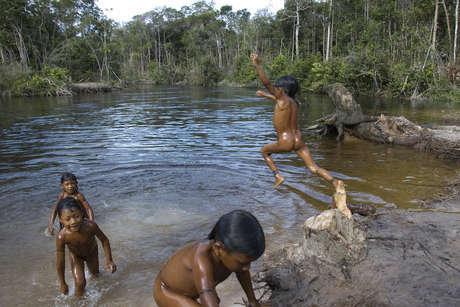 The Enawene Nawe are a small Amazonian tribe who live in the forests of Mato Grosso state, Brazil. They are a relatively isolated people who were first contacted in 1974, when they numbered only 97 individuals. Today their population is around 500. 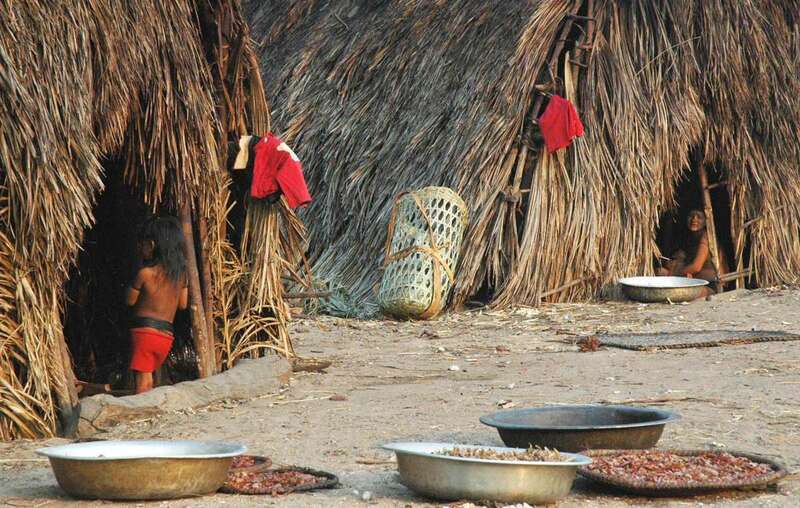 The entire tribe lives in one village, in enormous communal houses – each of them home to up to 50 people. The houses are set around a circle in the centre of the village where ritual and communal activities are performed. Now this tiny tribe is fighting for survival. The state government of Mato Grosso plans to build 80 hydroelectric dams in the Juruena River basin where their land is situated. Brazil’s Enawene Nawe rely on the forest and the rivers. How will their ancestral spirits respond to the destruction of their land by ranchers? The Enawene Nawe have not been properly consulted about the project. They fear the dams will pollute the water and destroy the fish on which they rely almost exclusively, as they do not eat any red meat. Moreover, their spiritual life revolves around the fishing rituals that take place throughout the year, according to the cycle of wet and dry seasons. Enawene Nawe father and son, Brazil. 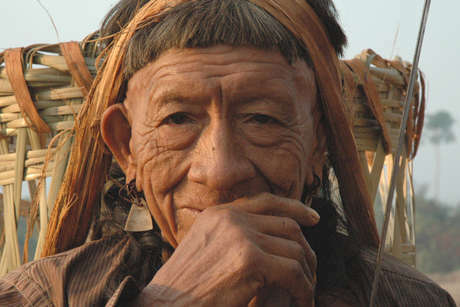 The tribe opposes the building of 80 hydroelectric dams which would pollute the water and destroy the fish which are an essential part of their diet. 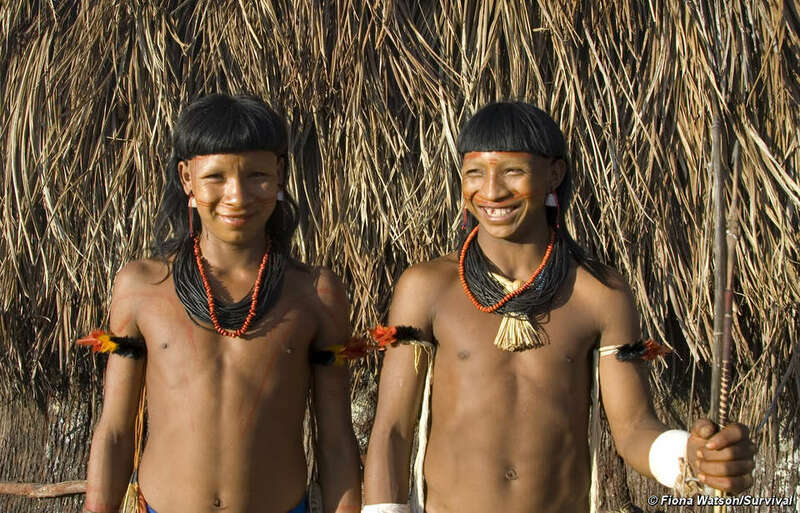 Although most of their land was officially recognized by Brazil’s federal government in 1996, an important area they call Adowina, or Rio Preto, was not included. This area is tremendously important to the Enawene Nawe both economically and spiritually – this is where they build their fishing camps and wooden dams to trap and smoke fish, and where many important spirits live. Now it is now being invaded by cattle ranchers who are cutting down the forest to make cattle pasture. In recent years the ranchers have burned down the Indians’ fishing camps and threatened violence if they build their fishing dams here. 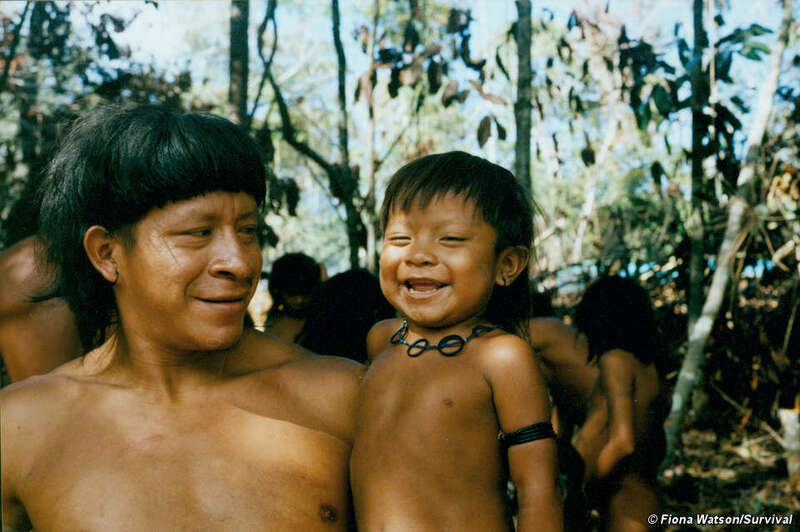 An Enawene Nawe man tells of his anguish over the deforestation of his tribe’s territory by ranchers. The Enawene Nawe are urgently demanding that the dams be suspended and for proper consultations to discuss the impacts of the dams. They are also lobbying for the Rio Preto area to be recognized as theirs and for the ranchers to be removed now before they destroy more forest. Survival supports a land protection project run by the Enawene Nawe and the Brazilian non-governmental organisation OPAN. 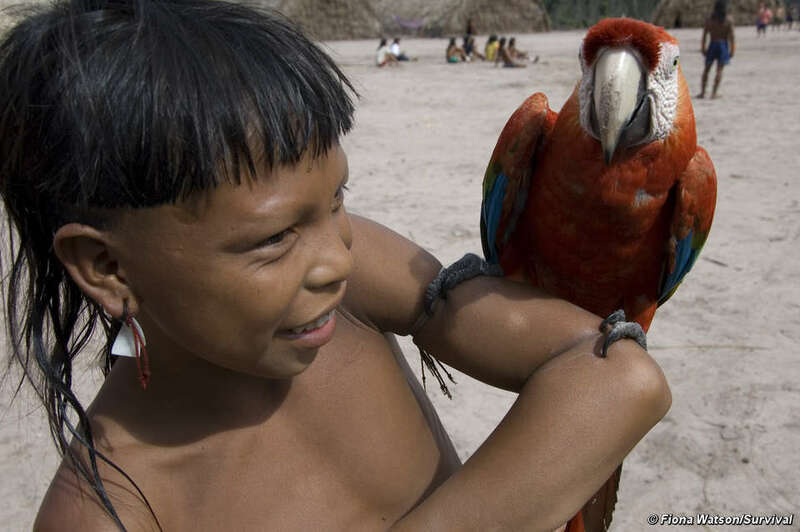 We are urging the Brazilian authorities to suspend the dam project and order a full, independent environmental and social impact assessment, and to consult properly with the Enawene Nawe about its true scale and impacts. We are also calling on the government to recognize the Rio Preto region as Enawene Nawe land. The Indians urgently need your support. The state government of Mato Grosso plans to build a large number of hydroelectric dams on the Juruena River, upstream of the Enawene Nawe’s land. 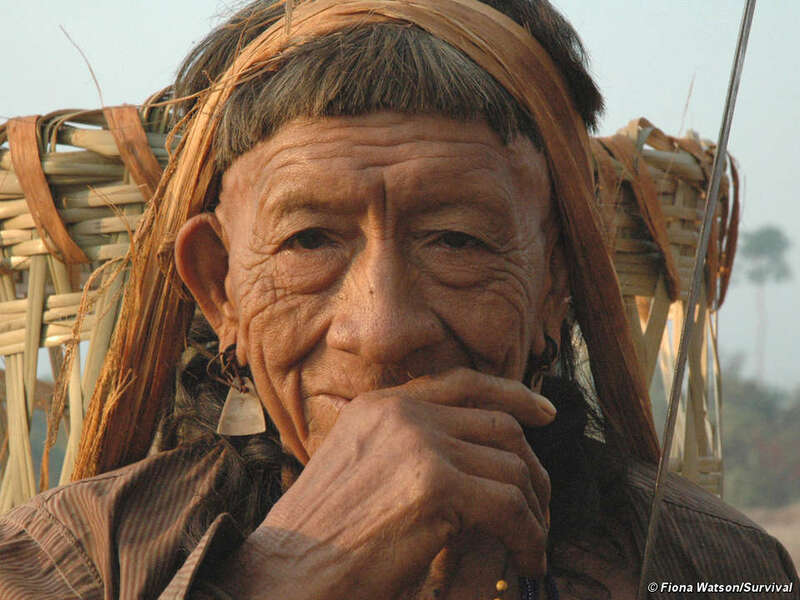 Five dams are already under construction, despite the fact there has been no proper environmental and social impact assessment, nor proper consultation with the tribes affected. Three other dams have been given environmental licences so construction work can now begin. Another dam is built in the Amazon rainforest. Some dams are being funded by the Maggi company to benefit their soya business. The family is the world’s largest producer of soya and one member, Blairo Maggi, is the governor of Mato Grosso state. 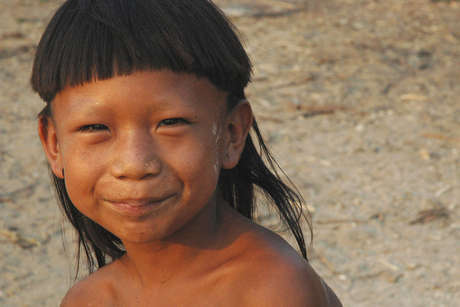 In total, up to 80 dams are planned for the Juruena River basin although the Indians were initially told the number was five. The Enawene Nawe believe they will cause irreversible damage to their way of life by polluting the water and killing the fish which are a major part of their diet. The Enawene Nawe and neighbouring tribes have mounted road blockades and invaded a dam construction site in protest against the dams. 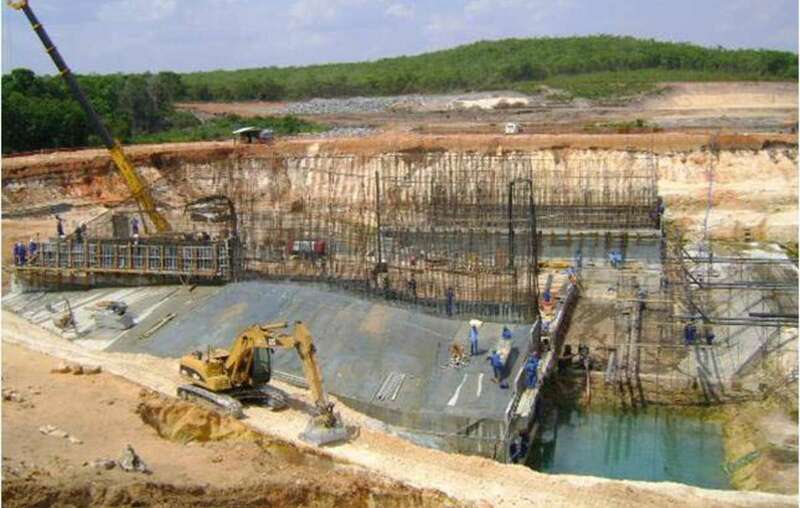 In 2008, a federal prosecutor managed to obtain a court order halting dam construction work. However state governor Blairo Maggi took the case to the Supreme Court, which overturned the suspension order in June. The tribe is at a critical point. If the dams are built they will no longer be able to fish, which is crucial to their survival and to their important relationship with the spirit world. 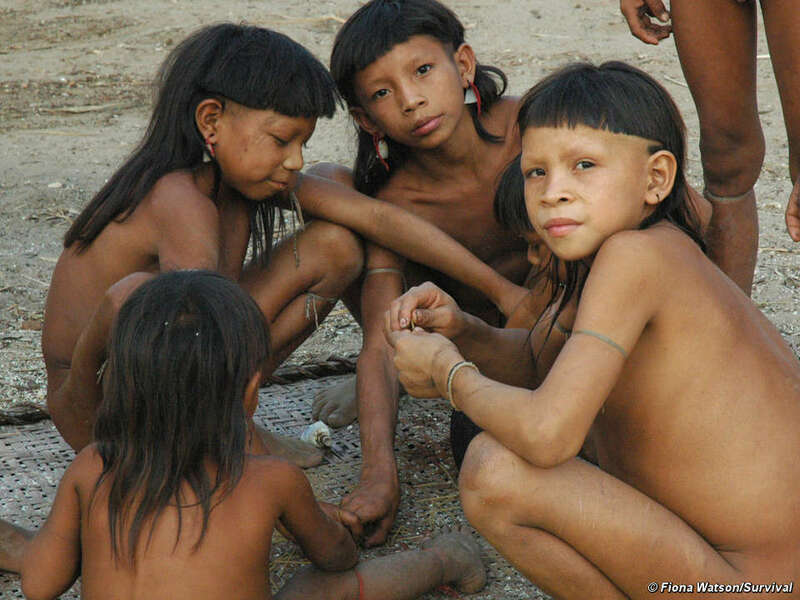 The Enawene Nawe Indians are one of the very few tribes in the world who eat no red meat. 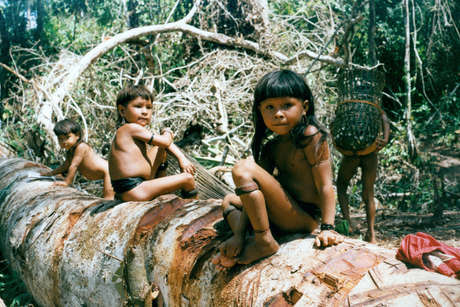 Their home is a rich and beautiful territory of rainforest and savannah on the edge of Brazil’s Amazon basin. It provides them with everything they need: crops like corn and manioc, honey, and above all, abundant fish. A couple of &apos;malocas&apos; (communal houses) in the Enawene Nawe village. 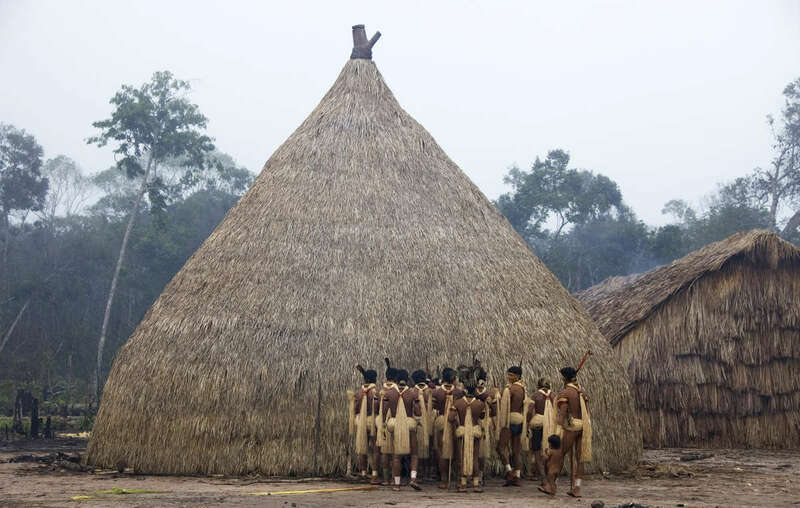 They are divided into clans and live in a dozen large malocas, or communal houses, made of wood and thatch. These are built in a circle extending from ‘the house of the sacred flutes’ in the centre. Maintaining balance and harmony with nature and the spirit world is essential. The Enawene Nawe universe has two levels and they live between the two. The upper level is the home of the enore nawe, or celestial spirits, who are the owners of honey and certain flying insects. 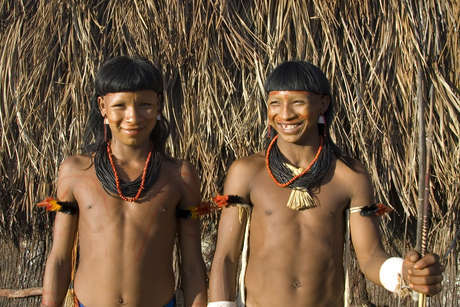 They accompany the Enawene Nawe on fishing trips and expeditions to gather forest produce, and protect them from the dangers of the world beyond the village. The Enawene Nawe are expert fishermen. 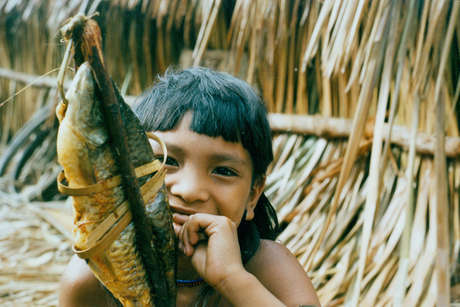 In the dry season they catch fish using spears or by stunning them with a poison made from the juice of a forest vine. 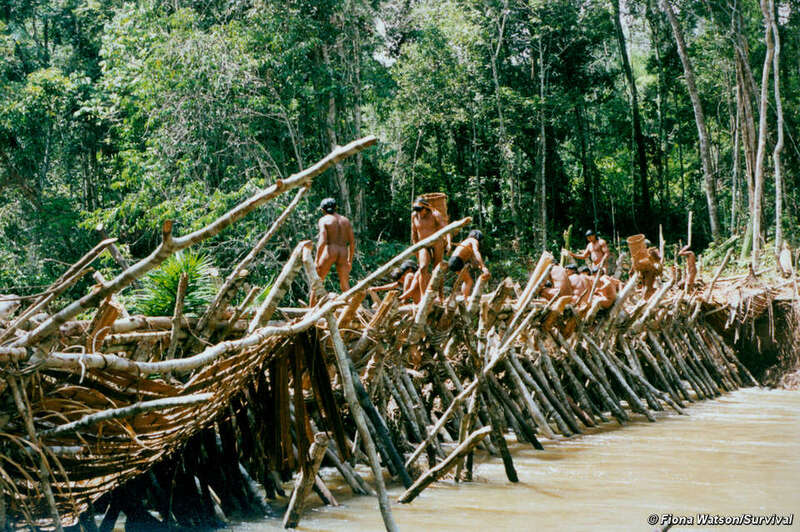 In the wet season they build intricate wooden dams across rivers to trap large quantities of fish. They spend several months camped in the forest, smoking the caught fish in specially built houses and then sending them back to the village by canoe. 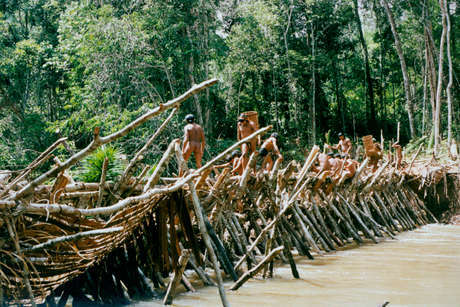 During the fishing season, Enawene Nawe men build wooden dams to catch fish, Brazil. 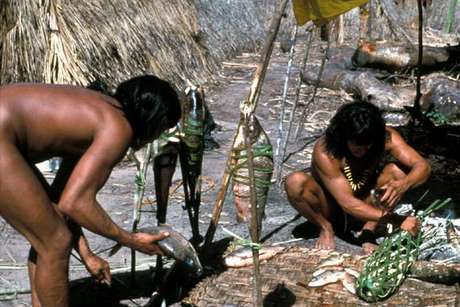 Enawene Nawe men smoke fish to preserve it for the yãkwa ritual. 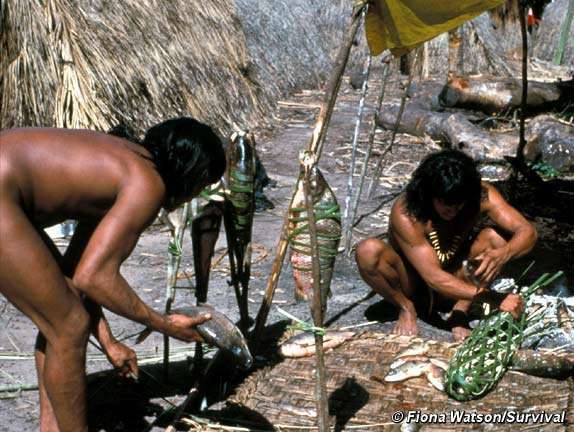 The Indians’ most important ritual is known as Yãkwa, a four month long exchange of food between humans and spirits. 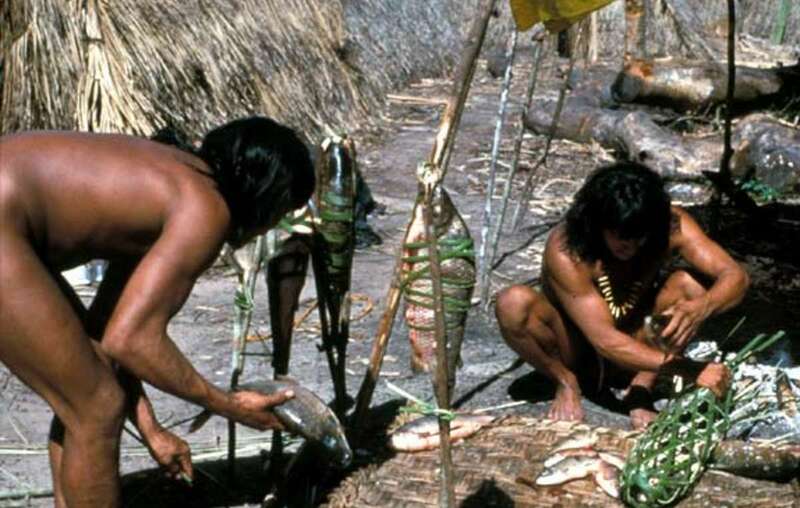 When the men and boys arrive back from the fishing camps, food is ritually exchanged with the spirit world in elaborate ceremonies. Feather headdresses and special costumes are worn, and men play flutes to accompany people while they chant and dance around open fires in the central square. 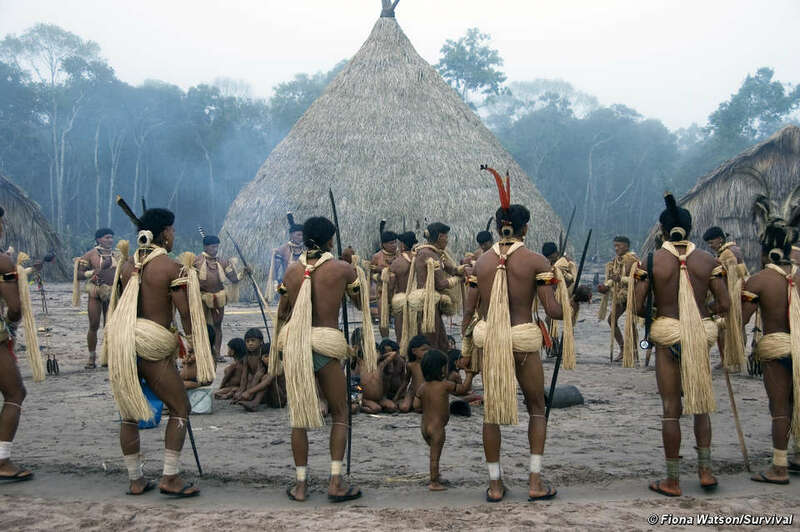 Enawene Nawe men perform the Yãkwa ritual, a four-month exchange of food between humans and the ancestral spirits, accompanied by dancing and chanting to the sound of flutes, Brazil. Honey gathering is celebrated in Keteoko, the honey feast, when men collect large amounts of wild honey in the forest and hide it on their return to the village, only revealing it when the women start to dance. 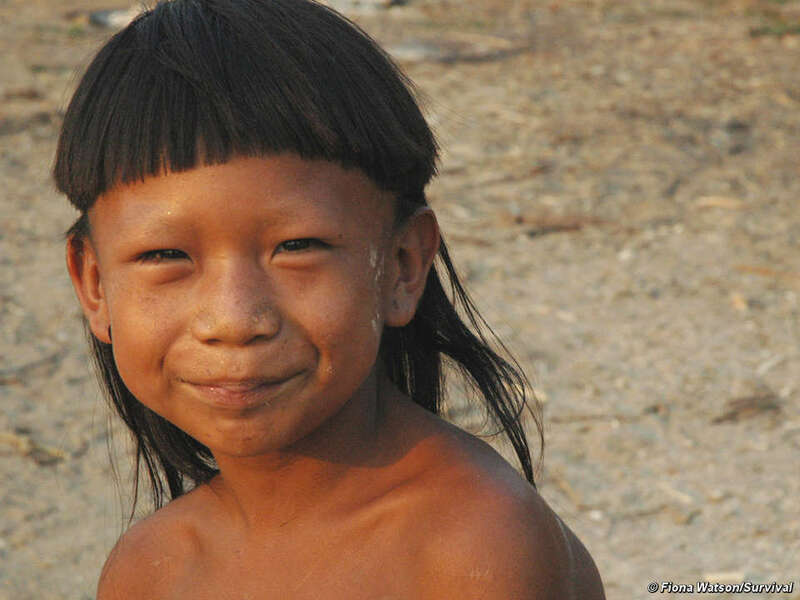 Please write to the Brazilian government to express your concern and ask them to demarcate the Rio Preto area and halt the hydroelectric dam project.